The next one comes from the start of the same decade, 1961. 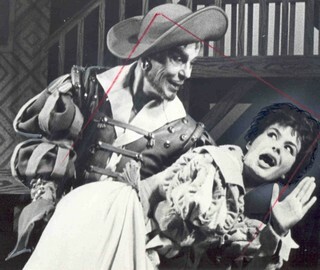 It’s also from a Stockholm production and shows a handsome and devilish looking Petruchio played by Sture Lagerwall spanking Maj-Britt Nilson. It’s the intimate eye contact between spanker and spankee that makes this one special.